The Tiernan MacBride library, which is also part of the IFI Irish Film Archive, holds a wealth of published material on Irish and international cinema, thus completing the range of collections available at the IFI and making it the most comprehensive resource dedicated to Irish Film, either nationally or internationally. It contains books covering all aspects of national and international cinema including production, scriptwriting, acting, theory, genre and criticism. New books are acquired on a monthly basis, and suggestions are welcomed on future purchases. Colleges are welcome to submit their reading lists so that all students can be catered for. The Library contains a range of film-related national and international periodicals, both critical and production-based. Periodicals in the collection include Cahiers du Cinema, Cineaste, Daily Cinema, Empire, Film Quarterly, In Camera, In Production, Kinematograph Weekly, Premiere, Screen International, Variety, Sight and Sound, American Cinematographer, Screen, Vertigo, Film Ireland, and many more. 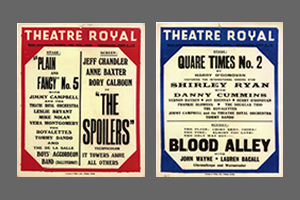 The Clippings Collection is a unique resource consisting of Irish film-related media clippings from national and international newspapers, magazines and journals, arranged and indexed by subject, film or personality. Topics covered include feature film, documentary, animation, shorts, actors, directors, production companies, broadcasting, representations of Irish people, Northern Ireland, the travelling community, censorship, television, legislation, and the Irish Film Institute itself. Our collection of documents, posters and images is a valuable source of information for researchers about the Irish film industry. The Document Archive offers primary source material on the history of film in Ireland. The collection is catalogued at file level and comprises over 20,000 files, each containing several documents. Material includes scripts, shot lists, stills, storyboards, correspondence, posters, and brochures. 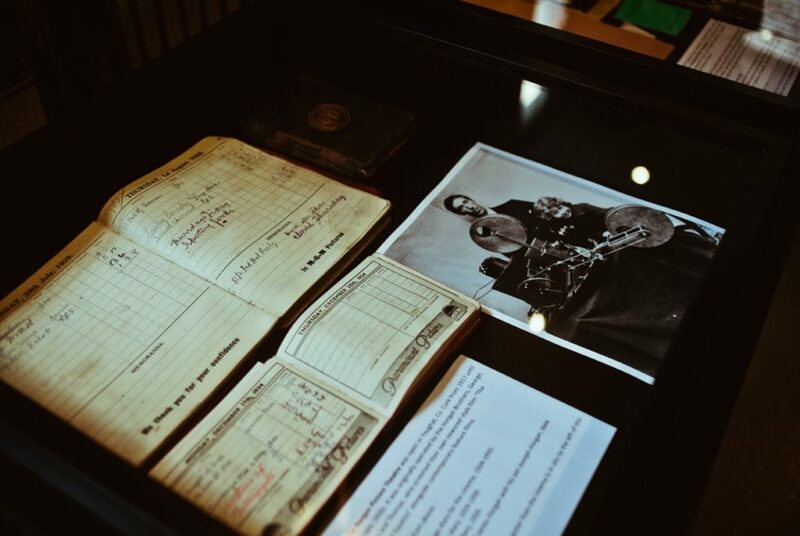 Notable collections include the papers of directors Neil Jordan and Tiernan MacBride, producer Lord Killanin, set designer Josie MacAvin, Jim Sheridan’s production company Hell’s Kitchen, and the Horgan Picture Theatre in Youghal, Co. Cork. The stills and poster collections include nearly 9,000 images in a variety of formats. Researchers can access these collections by appointment. The IFI Irish Film Archive holds, along with its moving image and document collections, approximately 200 objects and items of equipment related to filmmaking. These items include, an Oscar and an Emmy, as well as numerous pieces of filmmaking equipment, such as cameras, projectors and sound recorders. The Archive does not have an equipment collecting policy, and items have been acquired in an ad hoc manner over the last 20 years, often being deposited with collections of film. This collection of items is of great interest to the public and the Archive has presented the collection as a pop-up museum on several occasions and a representative sample is displayed in an online exhibition – click here. 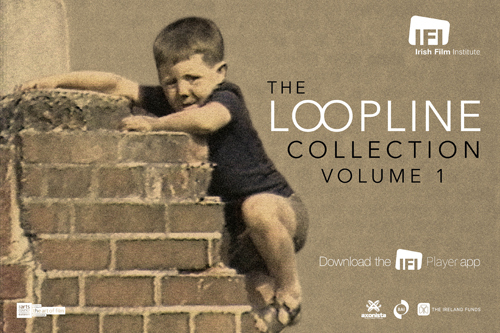 For more information contact Special Collections and Library Manager Raven Cooke at rcooke@irishfilm.ie.